Nov. 26, 2018 – The XR range comprises compact, powerful rotators with heavy-duty bearings. They are designed for extreme applications where rotator function requirements and load capacities are especially high. Optimally designed for both rigid and dangle mounting. Slew bearings, high performance and long service life make the XR series the rotators to rely on when it really counts. Wherever you need to handle large loads, XR rotators come into their own. Indexator is now launching a smaller model, the XR 300. The XR 300 is designed to handle both positive and negative axial loads up to nine tonnes. The model is also built for a radial load tolerance of seven tonnes and is thus ideal for applications with high side loads such as rigid mounting sorting grapples on excavators, or dangle mounting for scrap or timber handling applications, for example. “In a nutshell, the technology means the swivel and motor are not affected by external forces, which provides major service life benefits compared to competing solutions,” said Johnny Karlsson, area sales manager, Indexator. 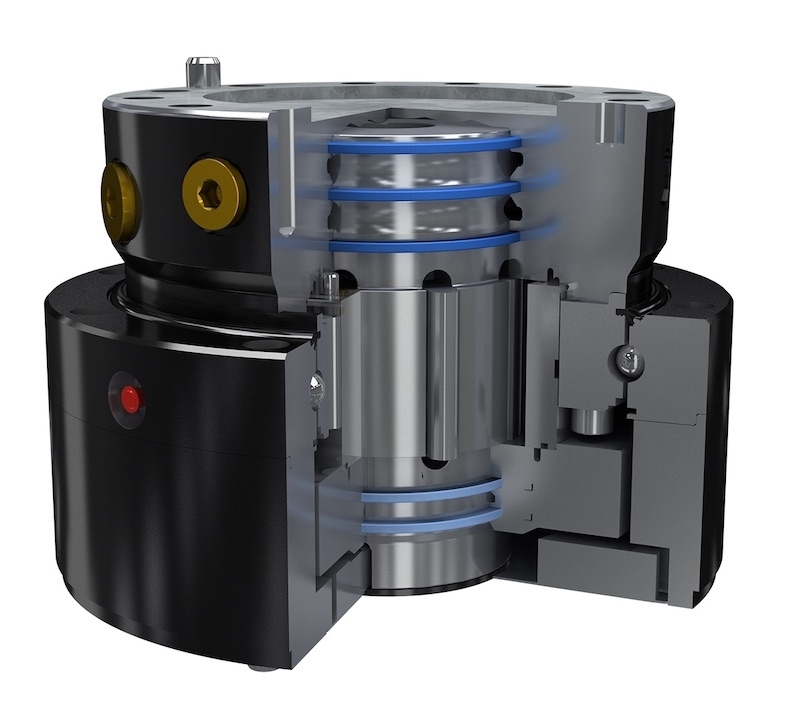 Another feature that benefits service life is Indexator’s tried-and-tested vane motor – the only compact rotator on the market using this principle. While the vane motor provides high torque, it is also very forgiving in case of forced rotation and large slewing masses. The modular design with slew bearings, motor and swivel in separate modules, makes service and maintenance easy. “There is great demand from machine manufacturers and every possibility that this size segment will be the largest in the entire XR series in terms of volume,” Karlsson concluded.